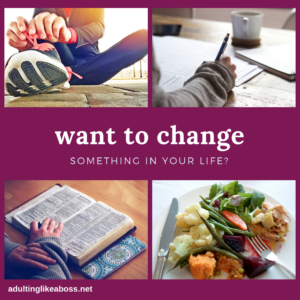 Want to change something in your life? It’s simpler than you think. Now I didn’t say EASY. I said Simple! It’s SIMPLE to change something in your life, but you know my philosophy! Do the HARD thing. 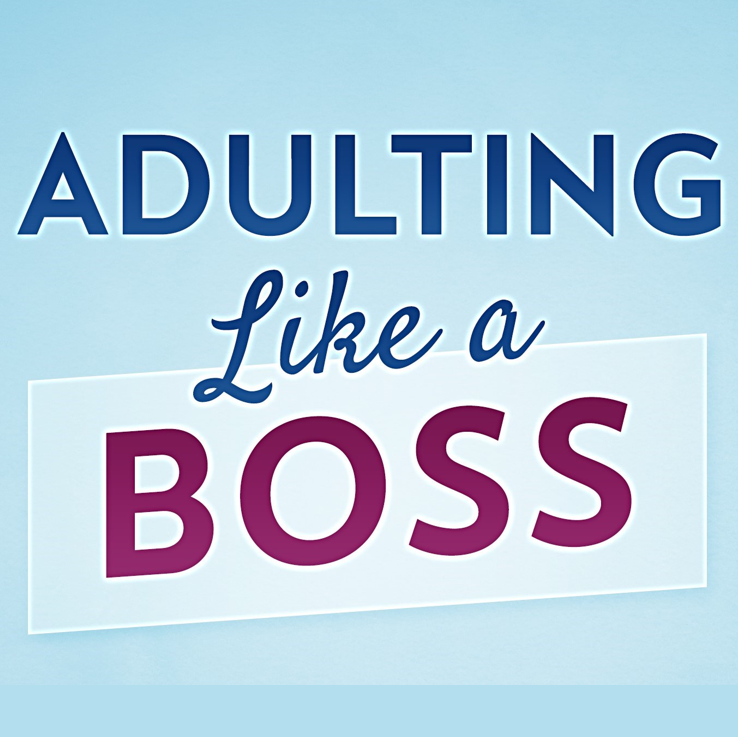 You can go back and read/listen to THIS ARTICLE / PODCAST. Sometimes you may have to do all four, or any combination of these. The point is – you don’t have to complicate your life to make a change. It’s simple. Can you think of anything that this formula wouldn’t work for? Finances: More of something – eating at home. Less of something – eating out. Start doing something – saving money. Stop doing something – using a credit card to buy things you don’t have the money for. Simple – but not easy. Hard. Do the hard thing. Dieting: More of something – eating fruits and veggies. Less of something – eating sweets and drinking sodas. Start doing something – exercising. Stop doing something – eating pizza late at night. Again. Simple. But not easy. So I’m saying CHANGE, but what we’re really talking about is a GOAL. Reaching a new GOAL is what will bring CHANGE to your life. So what’s your goal? Do you have something in your life that you want to change? 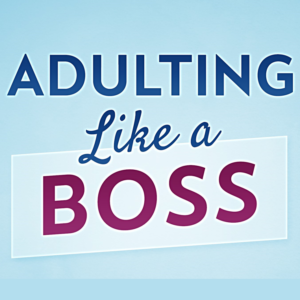 I talk about this in chapter 2 in my book, Adulting Like a Boss (available on Amazon in paperback, audio, and Kindle). But today I want to talk to you about three things that will help you reach your goal. Cut your goal down to a reasonable size. Jon Acuff, author of the book Finish says – Your goal is probably too big so cut it in half. Here’s what I mean. If you’re not going to the gym at all, making a goal to go to the gym every day is probably not going to happen. Make a small change, and when you succeed at that, you can make another small change. So in this example, going to the gym once a week for 30 minutes would be an improvement. You can add a day next month, and so on and so forth. Over time, the accumulation of those small changes will really make a difference. James Clear, a motivational coach I follow online, says to have your goal set at a 1% increase. He uses the illustration of lifting weights. Just lift 1% more today, and over time, you’ll be lifting a LOT more. You don’t start at increasing it to 100% more—You start at just 1%. And keep doing that over and over. I actually really like James Clear, and you may too. He has a weekly newsletter, all about becoming a little bit better every day, and has some pretty cool ideas on improving your life. Give yourself treats on the way to the goal. Interestingly, today I started my big labradoodle Val in a doggie training class. I’ve never done anything like that before, but tonight was really fun. There are not buzzers or choke or shock collars – punishing bad behavior. You know what they use? Rewards. Lots and lots of rewards. In fact, the email I received before the first class said – bring treats. Lots and lots of treats. In fact, the email said – figure out how many treats you need, and double it! Now I’m not saying that we should reward ourselves like I reward Val but… Well, I guess I kind of am saying that. Celebrate even small victories. Not with candy though, if a diet is your goal! When you’ve accomplished the 1%, then give yourself a high five. An accountability partner can give you the high five – and that’s my next point. Find someone with whom you can share your joy! An accountability partner – anyone who will cheer you on to your goal – is a great idea. Having someone who SHARES your goal will be even better! Find someone who wants to change their life in the same or similar way you want to change yours –Lose weight. Go to the gym. Start a new business. Read more. Watch TV less. If there’s an activity involved – like going to the gym – then do it together. Celebrate victories, hold one another accountable, and enjoy the comradery.